With two very good months in a row, I have finally decided to pull the trigger and on Friday April 19, 2014 I gave my notice at work. May 30th will be my last day I will every work for somebody else. Starting June 1st I will be permanently unemployed until the day I die. In the past two months I have earned more online than I earned in THREE months in my day job. In simple terms that means I spent 82 hours to earn my online income for the past two months. It took me 502 hours working in my day job to match the same amount of income. For the past month or two I have been learning Facebook Ads. In fact I took my last 4 days of vacation I had left from my job and spent them in front of my computer learning Facebook Ads. I started with learning how to do custom audiences. You use the Facebook Graph Search to find people that match your target audience. 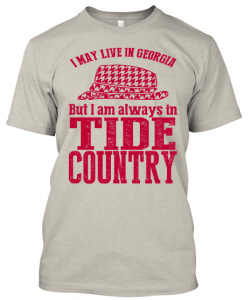 For example I created a t-shirt promoting being a University of Alabama fan even though I live in Georgia. How could an avid Georgia fan like myself promote a Alabama shirt? Simple, my younger sister’s husband went to Alabama and since he is a good guy I decided to create this shirt because I live in Georgia. I go to Facebook Graph Search and I search for “people who attended University of alabama”. Once I get the results I narrow this down again by selecting “lives in Georgia”. Boom! I now have the perfect audience for my t-shirt. The next step is to “scrape” the UIDs for everyone in my custom audience. Joe Troyer created a free Facebook scraper that would download the UIDs. You can get it here. It just takes time to download several thousand UIDs. During my four days off from work I was downloading almost 50 different custom audiences for design ideas that I have for t-shirts. It was taking so much time that I pulled out my Mac Laptop and had it running non-stop for two days scraping custom audiences for me. Now that I have my target audience and my t-shirt design, all I need to do is to create a Facebook Ad to market to this audience. Here is the ad that I ran on Facebook. 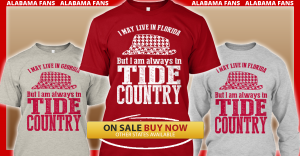 As you can see from the above ad I show shirts for Alabama Fans living in three different states. Actually I ended up creating shirts for Alabama fans living in Georgia, Florida, Tennessee and South Carolina. Actually created shirts for Florida fans, Georgia fans and Alabama Fans living in Georgia, Florida, Tennessee, Alabama and South Carolina. As you can see that is a huge number of t-shirt designs, facebook ad designs, scraping the custom audiences and running the actual ad. But as I mentioned I had my last 4 days of vacation from my job plus a Saturday and a Sunday for a grand total of 6 days of doing nothing but this for about 12 hours a day. Some of my t-shirts were successful meaning that I sold at least 10 t-shirts on Teespring. Some failed to reach their mark. Not only was I promoting t-shirts on Teespring, I was also creating ads to promote affiliate products. I am going to have a step by step guide to how I quickly made over $70 in less than 48 hours by running ads to an affiliate promotion. So stay tuned for this future post. Also be sure to check out my previous posts on 3 mistakes I made with Facebook ads and 5 lessons learned. I am starting to get better at Facebook Ads. It is easily to calculate up the profit you earned from selling of t0-shirts and affiliate products. Then you have to subtract out the amount that you spent on ads to get your net profit. In March 2014 I earned $1,498.93 from Facebook Ads. If you don’t have a product of your own then affiliate marketing is one of the best ways to get started making money online. Affiliate marketing is nothing more than promoting somebody else’s product in exchange for a commission for each sale. You can promote products through your own website, Squidoo, YouTube videos, SlideShare presentations, article marketing or even Facebook Ads. There is absolutely nothing stopping you from getting started today by promoting somebody else’s product. I am an affiliate for a wide range of products including kids travel vests, stand up paddle boards and Rogue Fitness. I have previously talked about being an affiliate for DragonDoor. Less than two weeks ago DragonDoor ran a 72 hour promotion where they were selling all their kettlebells at 40% off. I created a Facebook Ad and ran it for 48 hours (I missed the first day of the sale) promoting that you can purchase a kettlebell for 40% off. In a future post I will show you step by step what I did in that 48 hours to earn over $70 promoting DragonDoor. There are many different ways you can promote somebody else’s product. You just have to be creative and work hard at your promotion. If you don’t know what you might want to promote, then check out my previous post showing my 3 most profitable (and 3 least profitable) Amazon affiliate niches. That post will give you an idea of what you can do to be successful with affiliate marketing. If you want to know how I promote an affiliate product check out this post on my 7 step process for promoting any affiliate product. During March 2014 I earned $2,009.30 through Affiliate Marketing. The best way to have control over your future is to create your own products. You are 100% in the driver’s seat when you have your own products to sale. 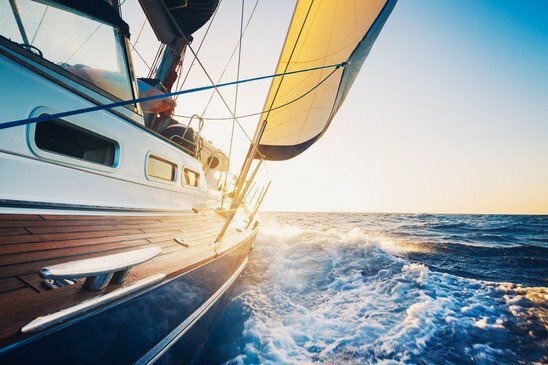 Affiliate marketing will probably always be my bread and butter method of making money online but I learned the hard way that you can lose everything with this method. Check out this post about how I lost my two most profitable affiliate marketing income streams in the same week. My most successful product is my Amazon Affiliate Bible. By having your own products then you eliminate the possibility of having an affiliate product being yanked out from underneath you. In March 2014 I earned $270.00 from the sales of my own products. Writing your own book is a great way to create a very passive revenue stream. Especially if you sell your product on Amazon. Amazon is a master at promoting products and getting people to buy. I could never be more efficient than Amazon at selling so why not let the master do the selling for you? I have several books that I have written that are being sold on Amazon. They are sold in both print and Kindle formats. These are books that I wrote several years ago. Even so each and every month I get a royalty check from Amazon for sales of my books. The best part is that I do nothing to promote these books. Everything is done by Amazon. In March 2014 I earned $71.22 from book royalties. Last year I created a new website as part of Pat Flynn’s Niche Site Duel 2.0. My website promotes the hvac market. As part of my strategy in monetizing this website, I placed adsense on it. For the three months my monthly income from Adsense from this one niche website has increased. For the first time my income in March failed to surpass the previous month’s income. Regardless it was income that I got with no work done on my part. In March 2014 I earned $8.30 from Adsense. This is an area that I have tried just about every way you can imagine when it comes to making money with solo ads. I am glad that I have put in the time and energy with this income source because I have learned a lot. If you are not familiar with solo ads then check out this post showing how I got started building my list with solo ads. I also have a great post about the lessons I have learned first hand from solo ads. Read this and don’t make the same mistakes I made. I recently talked about making money with solo ads without a list by being a reseller. I started using a program called Solo Master Pro to sell solo ads using their list. This started off very promising but then I stared having problems. In a very soon post I will be sharing my updated results from using Solo Master Pro. Just to give you a hint, the review is not going to be positive. Not giving up on solo ads I decided to pivot and take another tactic. This involved reselling but instead of using Solo Master Pro I started reselling from people that I have purchased solo ads from. This allows me to create my own solo ad program. In March 2014 I earned $122.75 from Solo Ads. I am creating this new category for this income because technically it does not fall under Facebook Ads even though all my other Teespring campaigns have been using Facebook Ads. Several people in my family know that I have been promoting and selling t-shirts online. One approached me and said they were planning an event. They had a design for the t-shirt but needed to have them printed. I worked with my cousin to put the design up on Teespring. Then we turned around and purchased 50 shirts with all shirts to be shipped to one address. The t-shirts were then sold at the event to attendees. Between the cost of selling the shirt on teespring and the actual price the shirt was sold for at the event, there was a $10 profit per t-shirt. We ordered 50 shirts. That is a profit of $500. But my cousin and I split the profit 50/50. So just by putting the design up on teespring and then ordering 50 shirts immediately, I made a very quick $250 profit. All of you attend events during the year. That could be road races, sporting events, church activities or anything else. Most of these events are small with fewer than 100 people attending. If you know of an upcoming event then contact the organizer and see about offering to print the t-shirts in exchange for a share of the profits. In March 2014 I earned $250 from Teespring. Here is a breakdown of my March 2014 Online Income Report. Let me know how you are doing online. What methods are you using to create your online income? Congratulations Jennifer! I can’t wait to hear how it is all going as you begin this new venture. I know you’ll do amazing. Thanks so very much! Looking forward to seeing you again in August. I am trying to volunteer to be a technical assistant and help with the video and audio editing at the event. Waiting to hear if I am approved. Congrats on leaving the rat race. Looking to increase my affiliate marketing so will be checking out your posts on this topic. 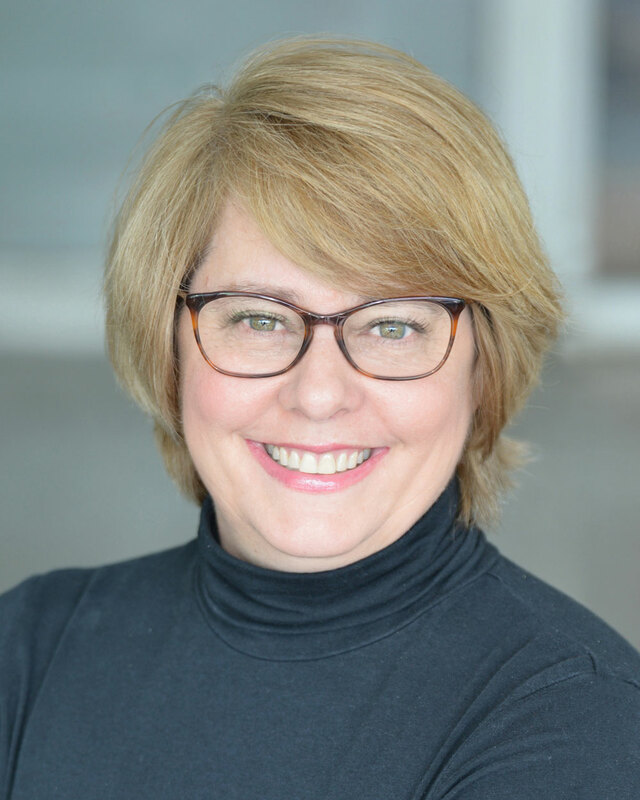 First off I want to see how honored I am to have the great Sue Fleckenstein reading my blog! I have watched your success with PLR and have been impressed. I have a list of over 900 people that have either purchased my Amazon Affiliate Bible product or signed up on my website. I have over 4,000 people on my solo ads list. Right now I am experimenting with building a list using Facebook Ads and Outbrain. Too early to share anything but I have high hopes for both. By the way any sign of your Plugin coming available yet!! Yes I finally took the plunge. I keep thinking about it and I am amazed that I don’t feel scared about walking away from the certainty of a weekly paycheck but instead I feel excited about the opportunity. I had to fire my first programmer and now I am working with my 2nd programmer who just started work this week. Just wanted to add my congratulations on your progress and your success. You Made It! You figured out how to make a full time income from your online activities. This is so inspirational. Thank you so very much. When are you going to join me and graduate yourself from the rat race? Looking forward to reading your blog post tomorrow. I need to work out how to stop procrastinating and to stick to my projects long enough to prosper. But I will get there, by hook or by crook, lol. This report is truly inspiring. I’ve been following you for a couple months via Matt Woodward. Just a great job! I am glad you found me. I too have been following Matthew and have learned a ton from him. Thanks so very much. Can’t wait until June 1st because I am so excited about the opportunity that awaits me. Jennifer, thanks for your informative posts. I just discovered your blog yesterday. I am new at IM and appreciate reading what you had to say. I must comment: I can relate to your dilemna when you started. I purchased a stupid number of WSO’s. I haven’t got my feet wet with solo ads, because it seems I’m overrun with data. I’m going to stick with one program and try it hard for 6 months. I am glad you found my blog. We both suffered from being the latest shinning object but failed to do anything with it. If you stick with one item for 6 months and give it everything you have then you should do well. It’s with great enthusiasm that I wait and read your monthly income report. I don’t post too much here or anywhere else but trying to change that a little bit. I happy for you that finally you reached your goal and will have a commute of 60 seconds. I know a lot of theory little practice and hope this year will change that. Even created a plain dull blog which want someday to looks as nice as yours. I like that you post your income but like a lot more that you describe how you got it. I learn a lot from them so keep the good work. I do want to earn as much as you do but AM complete sure this will happen only if I take action. If you don’t mind I’m borrowing your idea of writing everything like a mini plan a plan would be too much for me. Again congratulation on reaching your goal which you even more success. Nothing ever happens if you don’t take action. Nothing. Jennifer, I just learned of your through Mathew Woodward’s income report roundup and I’m glad I did! Congratulations on finally quitting your job to go full time! It’s so inspiring and hopefully I’ll be joining you on the roudup soon. Keep working hard and I’m looking forward to reading your reports now that you’ll be full time. I am glad you found my website. I wish you all the success in the world and hope you quit your day job soon! Wonderful content! This was my first visit to your site- thank you for sharing! I will be following you now! Keep up the great work & congrats on getting out of the ratrace! That too is a goal of mine in the next 2 years & wonderful people like you will make that possible! So again thank you!!! Glad you found my website. Looking forward to writing new content that you will enjoy.